Mick Rossi’s 160 began as a score for a short documentary film by Matt Dine about the German oboist and instrument maker Albrecht Mayer. Fully fleshed out to be a standalone recording, the result is music that transcends genres—typical of the artist’s voice. A veteran of New York’s Downtown scene, Brooklynite Rossi creates a recording of contrasts: beauty and discord, whimsy and gravitas, virtuosity and rawness. Dense. And intense. Multi-tracked in real time, Rossi plays all of the diverse instruments, including out-of-tune organs, drums with brooms, harmonium with a Rat pedal and a dog toy. All at 160 bpm. 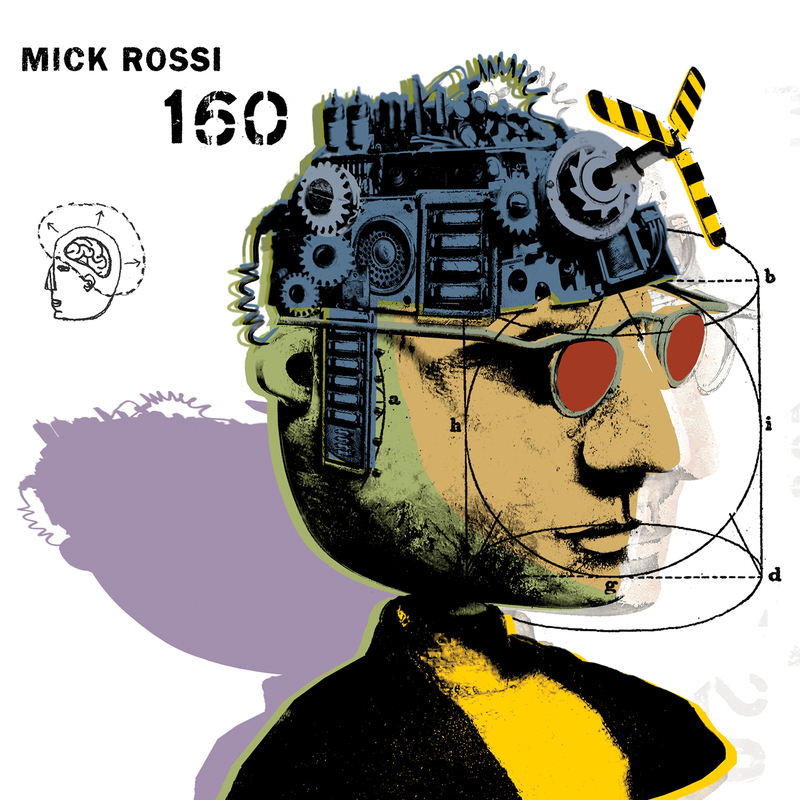 Pianist, percussionist, and composer Mick Rossi is known for his progressive, diverse work that has been described as ”an exemplar of the cross-fertilization between jazz and classical music worlds...the smile-creating mix of humor, surprise, gorgeous sounds and virtuosity…Bartokian and energetic.” (All About Jazz / NY Times). His third string quartet was recently performed at the Tribeca New Music Festival by the JACK Quartet (”Shostakovichian paranoia‘ — NY Times), and “OMNI,” commissioned and performed by yMusic for the Festival Of New Trumpet. 160 is his tenth release. In addition to Innova, he has recorded for Knitting Factory, OmniTone, Orange Mountain Music, and Tzadik among many others. His work has been featured in numerous venues, including MoMA, Carnegie Hall, BAM, The Knitting Factory, The Stone, Le Poisson Rouge, Tonic, MATA, and Barbes. In addition to being a Hermitage Fellow, he has been in residence as curator/performer at Spectrum NYC since 2013.